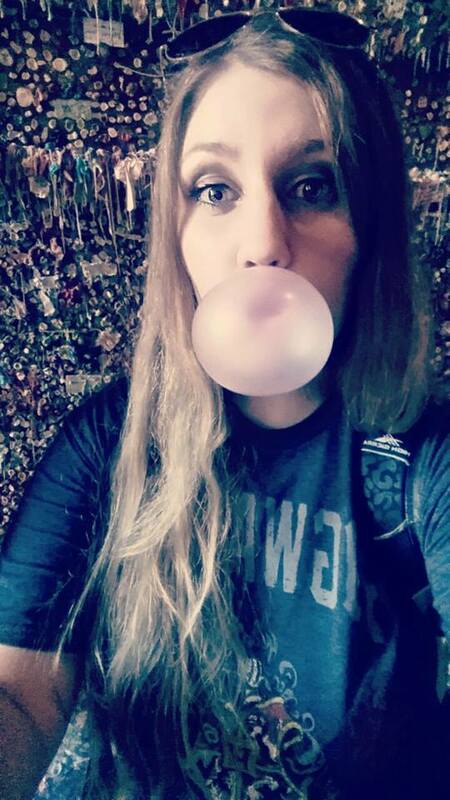 There was a lot to deep clean the first couple weeks after we moved in our “Hobbit house”. I didn’t realize that figuring out how to clean the inside of the glass oven door was going to be its own chore. It took me a couple days to clean the inside of the double oven we have— after which, I learned their interiors are actually dark blue, and not black! I also managed to break one of the oven light bulbs (the other was missing) in the process of cleaning them. 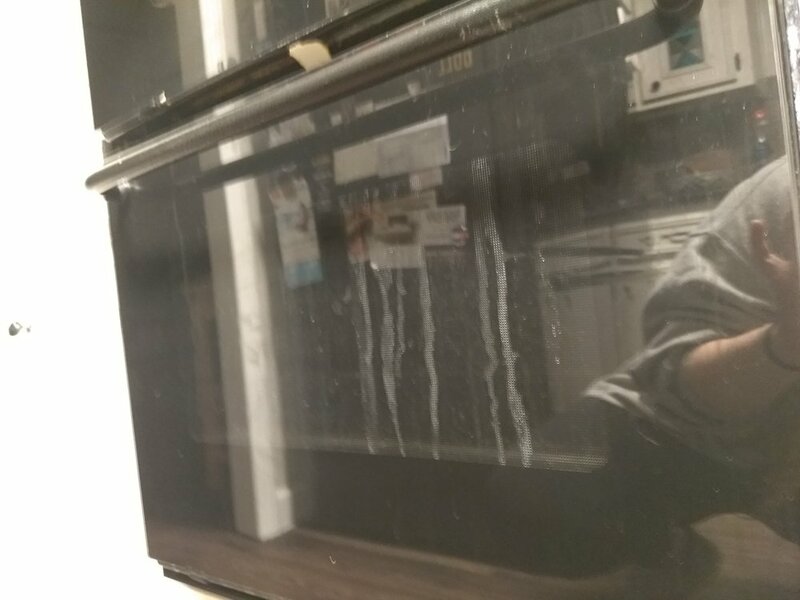 After the black grime was removed from the interior of the ovens and the light bulbs were replaced, I wasn't sure how to clean between the oven glass where these hideous dripping streaks were. I had already cleaned and re-cleaned the inside of the door glass, and the messy stains was for sure on the inside of the panes—making both of my now clean ovens appear infinitely dirty. It took a few tries, but it ended up being easier than I thought. Unscrew the two screws on the top of the door (see the photo below for screw placement). The door panes will separate. Wipe down the glass with your cleaner of choice. Screw the door shut again. Voilà, it's clean! There are two of these screws on each of our oven doors. Our double oven is by Maytag. 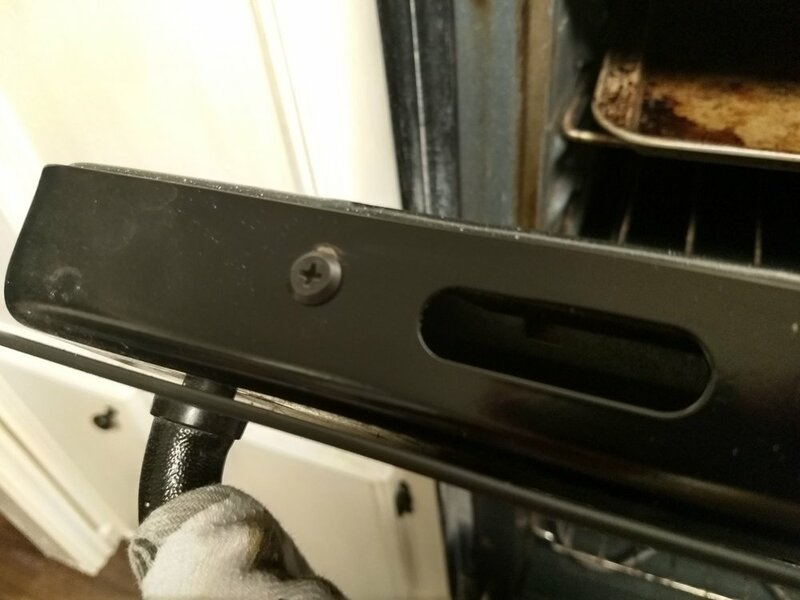 If your oven doesn't have screws, I am gonna guess that it has a few vent-like openings on this section of the door (ours does as well; one can be seen in the photo above to the right of the screw). I suppose you could try to use a washcloth soaked in a cleaner that will evaporate and attach to a metal hanger to wipe the oven door clean if your door does not unscrew. I tried this briefly with a paper towel and a bent wire hanger and ended up spending awhile fishing the paper towel back out with pliers. So maybe don't do that, and good luck to you if you do! Unscrewed oven door— ready to be wiped down. I originally tried to clean the streaks with a mixture of water and distilled vinegar, as I try not to use harsh cleaners on places that involve our food (coffee makers, microwaves, ovens, etc.). It helped, but the mess was really grimy, so I ended up using a couple squirts of dish soap and wet paper towels to get through the sticky, oily mess quickly. Hallelujah! Our ovens are finally fully cleaned! Yay! I am no longer plagued with ugly, dirty oven doors that I was previously trying to hide behind dish towels! And in case the inside of your oven could use some help, Fume-Free Easy Off is the way to go!